I’ve never really enjoyed eating granola for breakfast – or any cereal really – which is why even though today’s recipe is a really nice granola recipe, I still don’t eat it for breakfast. I will, however, tell you all the other amazing ways you can eat granola. Don’t get me wrong though, this can still be eaten for breakfast and I did try it and like it, but I just prefer eating it in other way’s I’ll explain below (in full discretion i’ve already made three four batches of this recipe – and not for recipe testing purposes). This recipe is insanely simple to make, bursting with flavour, lasts a long time (even when you pick at it like I do) and you can make a big batch at a time. It isn’t my recipe, although I have slightly modified the quantities within it. For the measurements just grab any mug from the kitchen. I know this is a random way to do the measurements but for this recipe as we are not actually baking anything and the ingredients do not need to combine it doesn’t matter if the measurements are off. These are the measurements that the original author (Deliciously Ella) has used and so I have done the same! It really doesn’t matter what nuts you use in this recipe. You can use whatever nuts you like the taste of just insert them into the place of type 1, type 2 and type 3. I have included what I am using in the recipe to make it easier. 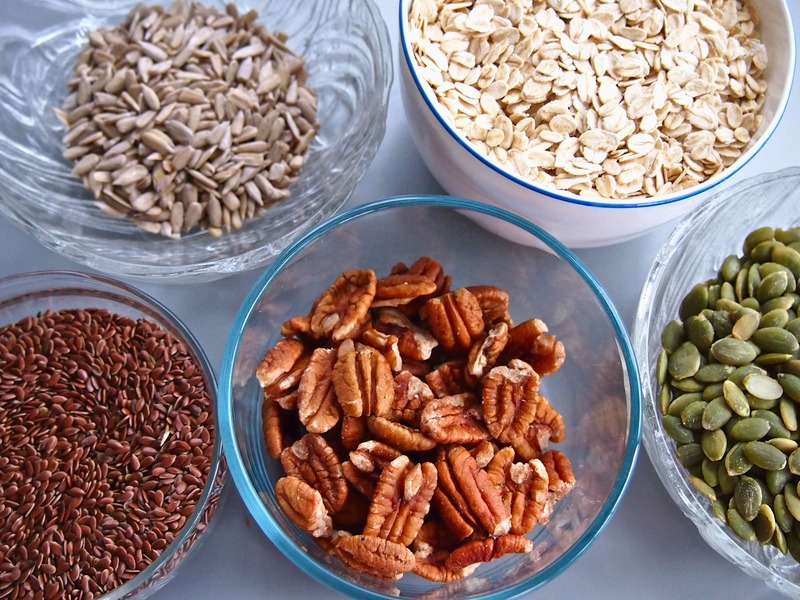 Ideas of nuts to use: pecans, pumpkin seeds, sunflower seeds, almonds, hazelnuts, mixed nuts and walnuts. Step 1: Preheat your oven to 180°C / 356°F and line a baking tray with baking paper (make sure to cover the sides of the tray as the mixture is likely to go up the sides). Step 2: Place your type 1, type 2 and type 3 nuts in a food processor and pulse until they are partially crushed (this should be approx. 15 seconds). Note* you should have some small pieces and some larger pieces at this stage. Step 3: Pour the mix from the food processor out into your large (must be large) mixing bowl. Note* pick out any nuts that you want to be further crushed and chop them in half with a knife. Step 4: Pour in the remaining wet ingredients EXCEPT the raisins/sultanas and mix them through (you add these once the granola is cooked). Step 5: Place the wet ingredients into a small pan on the stove. Once all the ingredients are in the pan turn the stove onto a low setting and stir until the ingredients are completely combined. Note* It should now look like a sweet liquid. Step 6: Pour the now dissolved mixture into your large mixing bowl and mix through throughly. Note* make sure you get all the small nuts and seeds at the bottom of the bowl. Step 7: Once throughly mixed through pour the mixture into the baking tray and spread out. Pat down the mixture so that it’s somewhat flat. Step 8: Place the baking tray in the oven for 30 – 40 minutes checking on the granola about halfway (15 – 20 minutes in) to thoroughly stir. *Note if you don’t stir the granola is likely to burn. 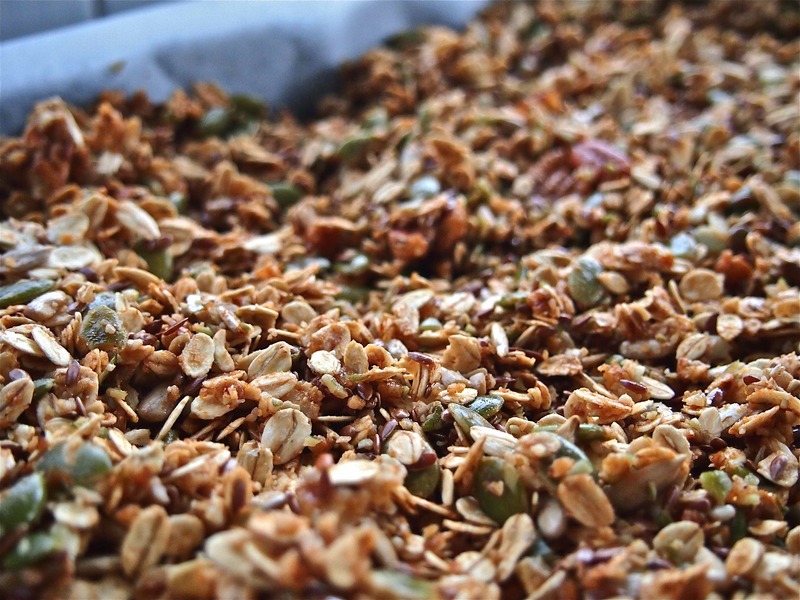 Step 9: Take the granola out of the oven and allow to cool. Step 10: Add the raisins/sultanas to mixture and mix through. Pour the mixture into an airtight container. Step 1: Figure out which nuts you want to use and measure them out. Step 3: Check the nuts have been properly crushed. Step 4: Place all the wet ingredients into a saucepan and mix together. Step 7: Pour mixture into the prepared baking tray and pat down. How do I keep the granola? I keep the granola in an airtight container on the counter in plain view. That way, when I come into the kitchen looking for a snack, it is the first thing I see. The most common way to eat the granola is with milk or yoghurt for breakfast. Some other ideas are to use the granola in a smoothie or to eat it as a snack. This is my preference, as it is much healthier than most of the other things I like to snack on! My strangest tip for eating granola comes from a friend of mine, who likes to eat this granola as a topping on coconut ice-cream. It seems strange to me – but I’m not going to knock it until I have tried it! Do you have any other ways to eat granola? Hope you all give this a try and let me know what you think. P.S This is not my recipe, although I have altered the quantities slightly, this recipe is the brains of the blogger Deliciously Ella and you can view the original recipe here. I’ve a terrible weakness for grazing on snacks – this sounds very tempting! I like the way you can customise the recipe. That’s the two things I love about this recipe. Firstly that I can just grab whatever nuts I have handy around the place and throw them in and secondly I have actually cut down on my unhealthy grazing a bit thanks to this … If I want chocolate though i’ll still grab it! My ex used to make this. I think I’ll have to start making it myself now. It’s delicious. It’s very simple to make … easier than it looks actually – good luck and let me know how it goes :). I’m making a trip to the grocery store today, and now plan to pick up materials for this granola. It looks delicious. And buying granola is so damned expensive! I hope I really like this, so I can make it from now on, and save some $$$. I feel like that is perfect timing! I do find this to be an inexpensive recipe too compared to buying granola – and no real preservatives. If you decide that you like it then just double the quantity and make two batches at once as that is what the original recipe says. 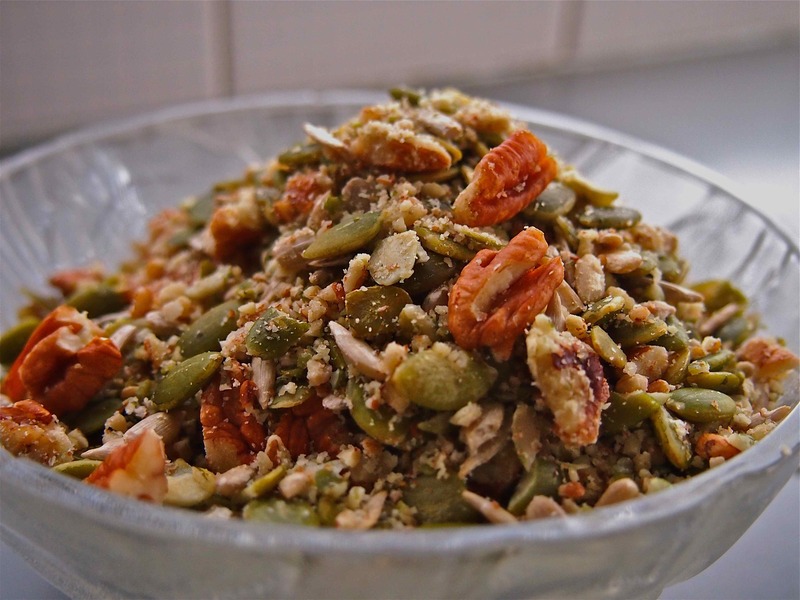 I like to mix the nuts up each time which is why I halved the nuts portion of the recipe :). Nom Nom Nom! It’s so yummy! It feels like the kind of recipe you can really adjust to suit your preferences. 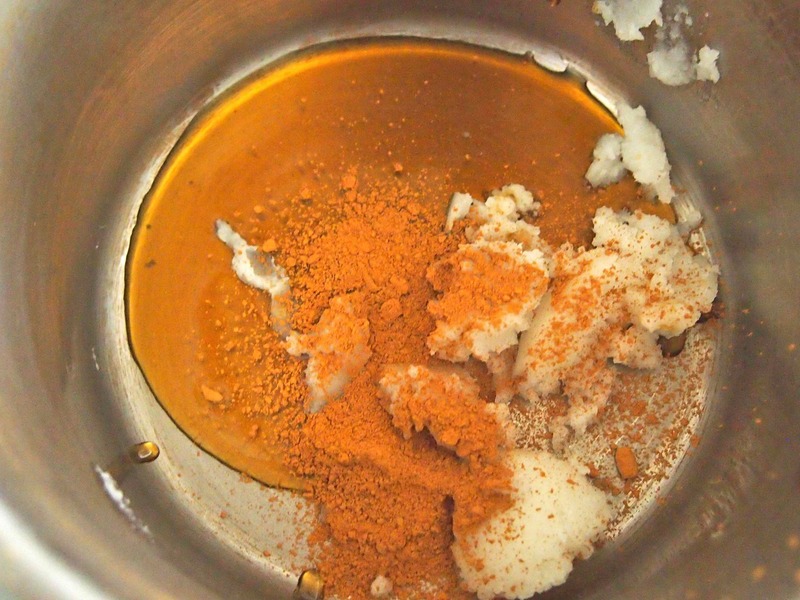 I used half the cinnamon, extra coconut and oats, and threw in 1T of honey and a little vanilla. I’m going to take a look at my grocery receipt and compare the cost to the granola I’ve been buying for ages—and picking the freaking mulberries out of! I’m curious to see how long it will stay fresh on my shelf. And I’m so happy to find a recipe that will use up my old coconut oil. Thanks again! I’m glad you liked the recipe :). I don’t think anyone has ever tried a recipe so soon after I posted one! I’ll have to try adding some vanilla to mine next time and see how that tastes :). I’m very happy to hear that you’ve found a recipe you like. I’ve found that the granola lasts about two weeks in an airtight container (that’s how long it takes me to eat it so I can vouch for that). If you keep yours longer and it lasts please let me know! Fantastic, thanks! I had it for breakfast yesterday, just with milk, and it was SO delicious. My boyfriend is jealous of it, but I told him hands off! Two weeks is longer than I’d hoped; I’m sure I can get through this by then. Thanks so much! I’m so glad you like it! Haha you might need to keep an eye on him – if he tries it you’ll have to start sharing for sure :). I’ve made batch after batch by changing the type of nuts I use around I haven’t gotten bored with it yet. I don’t like any kind of cereal type breakfast either, I’d definitely snack on this though! Glad to find another one :). People always look at me strangely when I say I don’t like it! It is a great snack and it doesn’t taste like it should be a breakfast cereal when you snack on it which I love! This sounds delicious! I plan on using granola this week as a crumble topping for a mix of plum, peach, and apricot – like a crisp. I have also put it in nice jars and given it as Christmas gifts. The recipients loved that it was home made. You have wonderful recipes! Thank you for sharing! 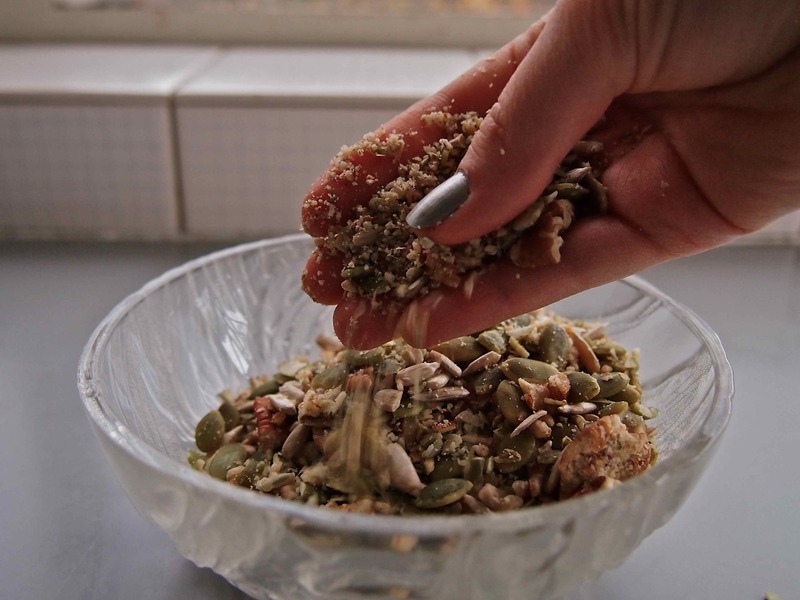 That crumble sounds amazing – using granola on top will be perfect! Granola as Christmas gifts is a great idea. I gave some food as Christmas gifts last year for the first time, you can see a photo of it on my ‘Almond Cookies’ post – I gave almond cookies, salted caramel popcorn and marshmallows dipped in salted caramel and chocolate :). Anything salted caramel is wonderful! Fantastic! I hope you enjoy it :). I’m making my second batch right now. This is absolutely my new favorite. I’m so glad that you love the granola that much! I’ve made so many batches it is just a recipe that I keep coming back to as well :). It is so tasty and easy i’m sure you’ll love it as much as I do :). In fact i’m making another batch of it tomorrow! Let me know how you go with it when you do :). I am definitely going to give this a try. Thanks for the great post. I hope you enjoy it as much as I do :). 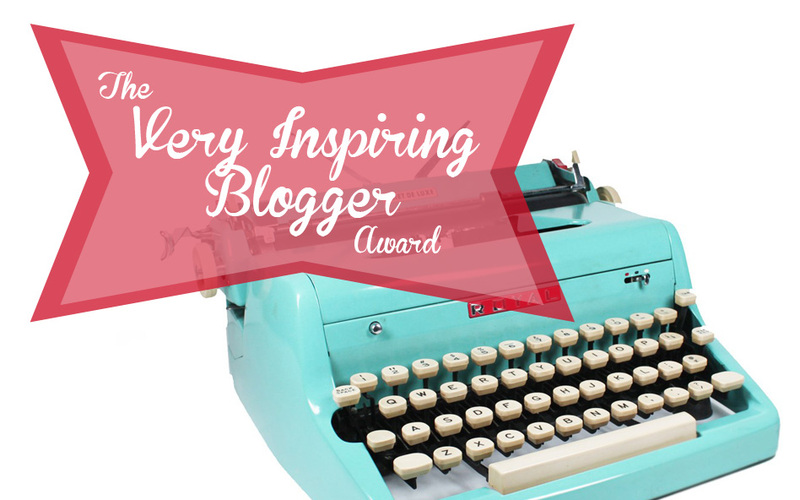 Alright – no one would ever come close to calling me a cook, but I love your blog! I did a simple maple/honey granola for holiday gifts at work last school-year. I put it in jelly jars and added a picture of a cow for the tag “Just add milk” Cheesy I know but the granola was a true hit! Thanks for getting us connected! What an absolutely lovely and thoughtful gift idea! I love the cow tag and picture on the front idea :). I did something similar for Easter this year except I gave my ‘Salted Caramel Popcorn’, ‘Marshmallows Dipped in Salted Caramel and Chocolate’ and ‘Almond Cookies’ as gifts. I think the homemade touch just means so much to people! Ooo- I can so see putting this on a frozen trear! Thanks. I know it sounds a little strange but apparently it tastes great on ice cream. 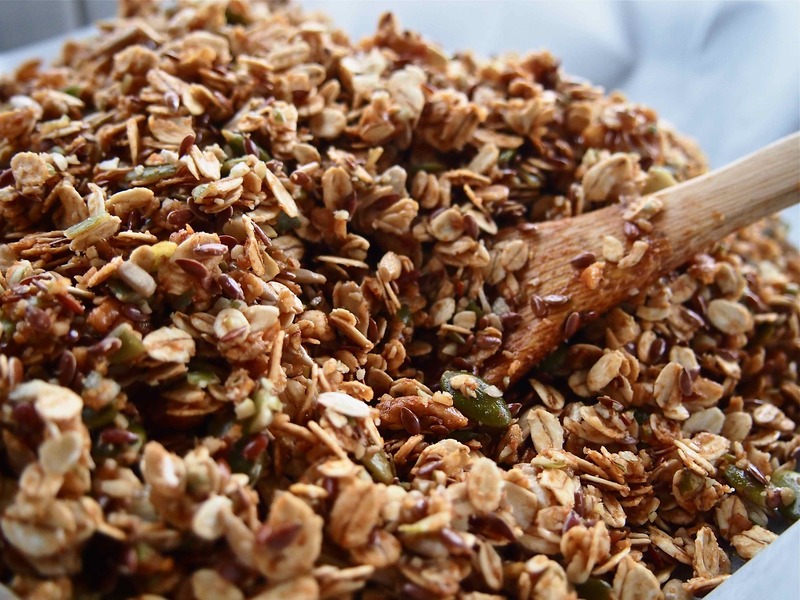 I made a brand new batch of the granola just this week – it is still a favourite! I have a feeling that you are going to enjoy the granola then :). Let me know what you think of it when you make it.